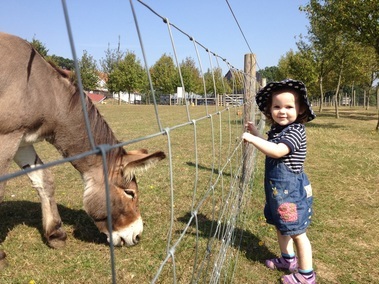 The Museum of East Anglian Life is right in the centre of Stowmarket, and is a toddler's paradise. It has a tremendous collection of farming machinery, as well as a small collection of farm animals, a woodland walk, and various buildings with interactive displays about agriculture. 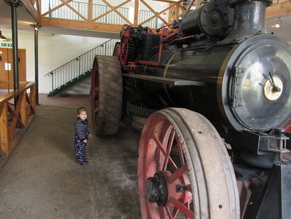 It has an impressive variety of local traction engines to delight any small enthusiasts (or any grown-up ones! ), and has lots of information available to read by all of the exhibits. 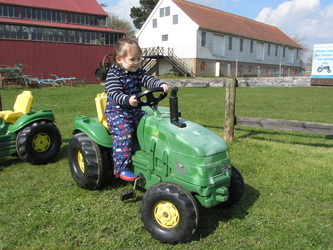 There is plenty to do, from rambling around the countryside, including a riverside walk, woodland, and a wildflower garden, to the generous play equipment provided both indoors and outdoors, including ride-on tractors, a tool set, trains and a playground. They are open seven days a week, and there is access to the grounds all year, although some of the buildings are closed in the winter. You can become a member for £25 (for an adult), which gives you unlimited access all year, plus other benefits like discounts in the shop and priority tickets for special events. Otherwise it is £6.90 per adult. There are some stunning buildings to see, including our favourite, the Eastbridge Windpump, right by the river Rat, and the very stunning Alton water mill. The collection of farming machinery is fantastic, with some spectacular traction engines and a very complete history of agriculture in East Anglia. This is a very popular place for school visits, so can be busy even in term time, but as there is such a lot to see and do spread over a large area, it doesn't matter. 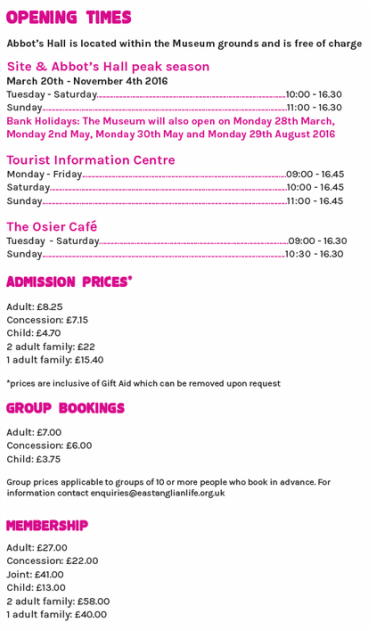 There is a café on site, The Osier Café, which is very baby-friendly. 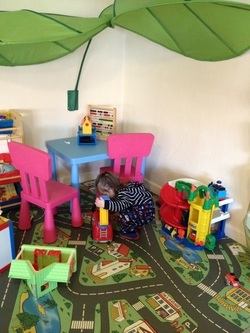 They have a designated play corner, with toys, books, a table and chairs, and a comfy seating area next to it with a microwave for heating food etc. They are able to cater for gluten-free diets easily. They are independent from the museum so have different opening hours and are accessible separately if you do not wish to visit the museum itself.